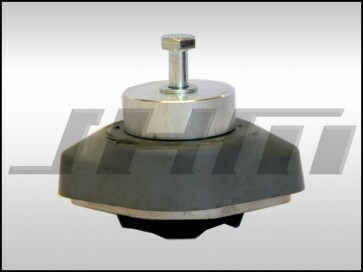 This spacer and transmission mount will allow you to upgrade the driveline of your automatic/tiptronic transmission B6-B7 S4, B7 A4 or C5-A6/S6/allroad with the 4.2L V8. These also work on C5 A6/S6 Manual Transmission Swaps with the 4.2L V8. Using 034Motorsport's B5-S4 Density Line Transmission Mount, we have created a solution for Automatic/Tiptronic Transmission cars that will allow them to run upgraded transmission mounts.